Hello dear Rebellious Brides! Today, we are super excited to have this feature on the blog today. As this is the very first feature post that we have for our new category, "RB Fashion." A dedicated tab on the blog that will be solely focus on Bridal, Groom, Entourage, and Guest wedding style ideas. And with a bridal black gown situation in our midst, there's no better time to start this new category! So shall we begin? 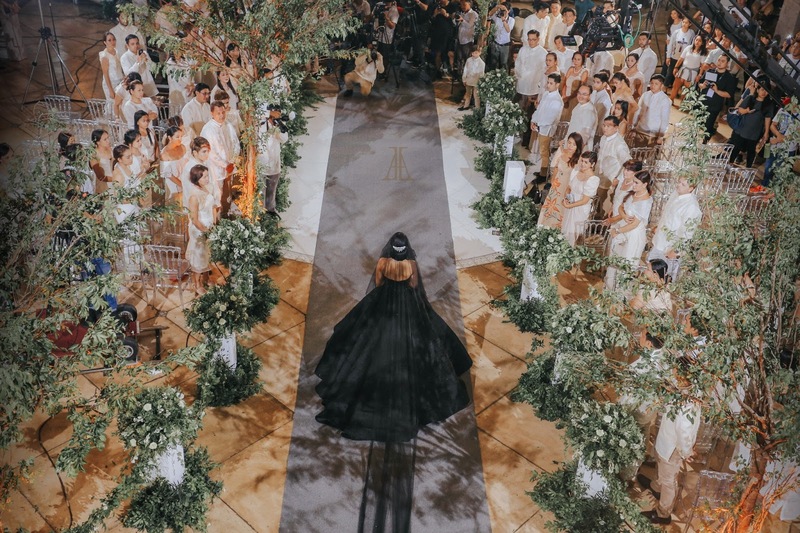 In a country filled with both wedding traditions and even more telenovela-watching traditions, Philippine onscreen wedding scenes have been getting bigger and grander in the past few years. But nothing was ever quite this rebellious until now. 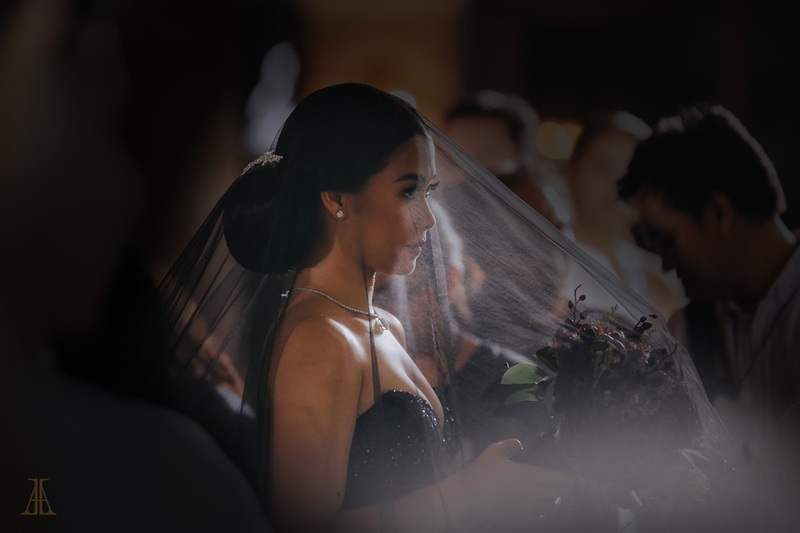 Netizens got excited upon seeing the rebellious bridal look and noted that it is the first time that a character from a local TV show wore a black wedding gown. 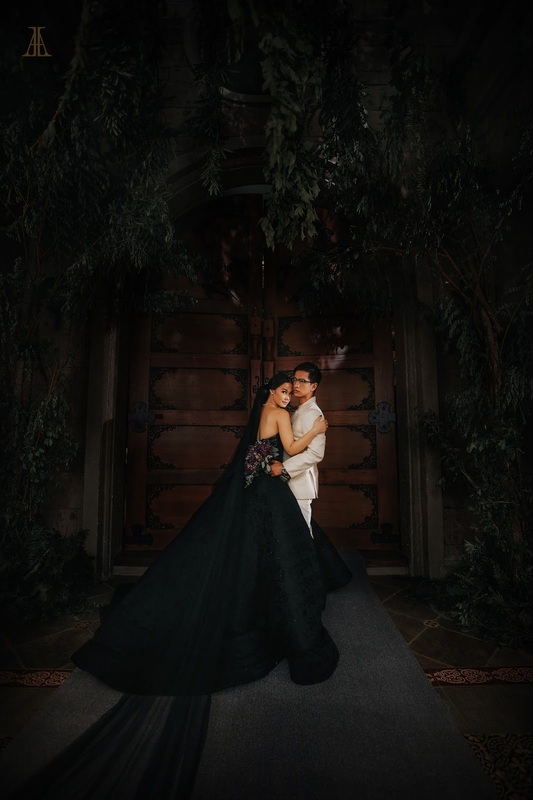 We love everything about Maja's black bridal look! The gown designed by Val Taguba was very classy and chic. If you look closely, the gown has an interesting floral damask pattern which we thought was pretty clever since the show's title is "Wildflower." What an amazing attention to detail! The gown also had a sparky effect to it because of the beading and you won't have the same dramatic effect if the gown were white. 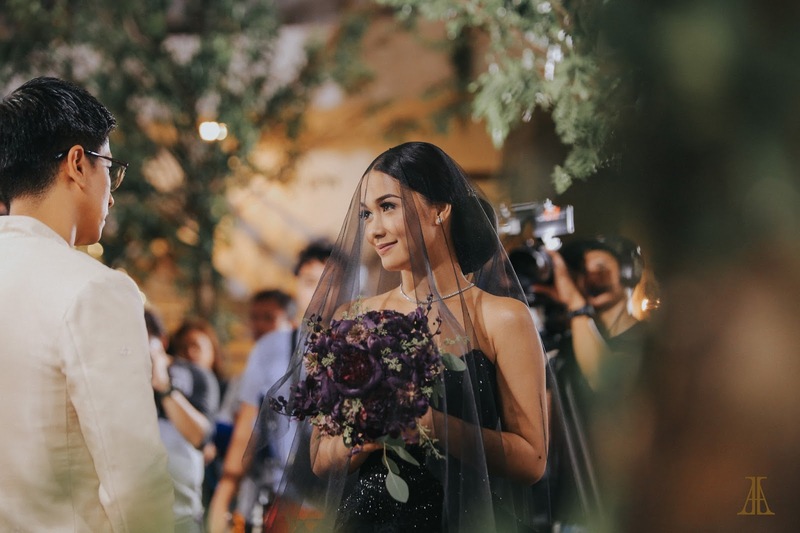 Maja's black veil, black nail polish, and lilac-colored bouquet tied the entire look so fabulously well. The gown definitely took center stage. 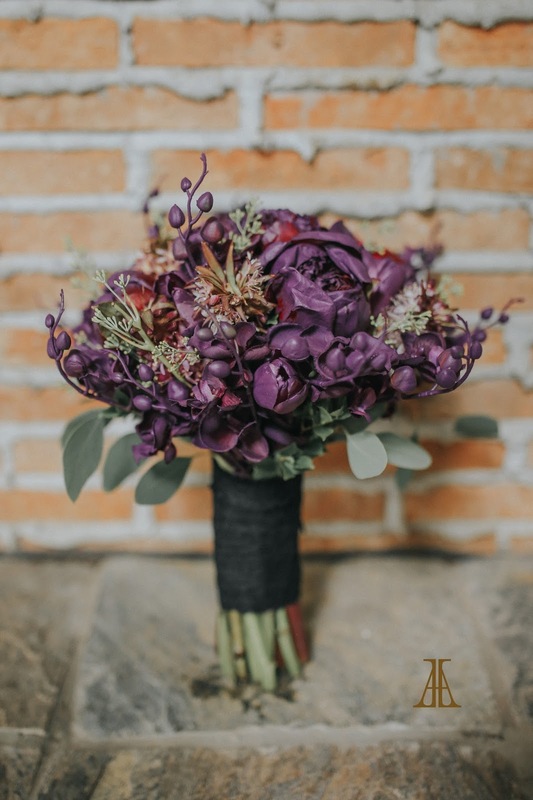 But we also loved the unique lilac-colored wedding bouquet created by Peach Blossoms Florist Event Stylist​. 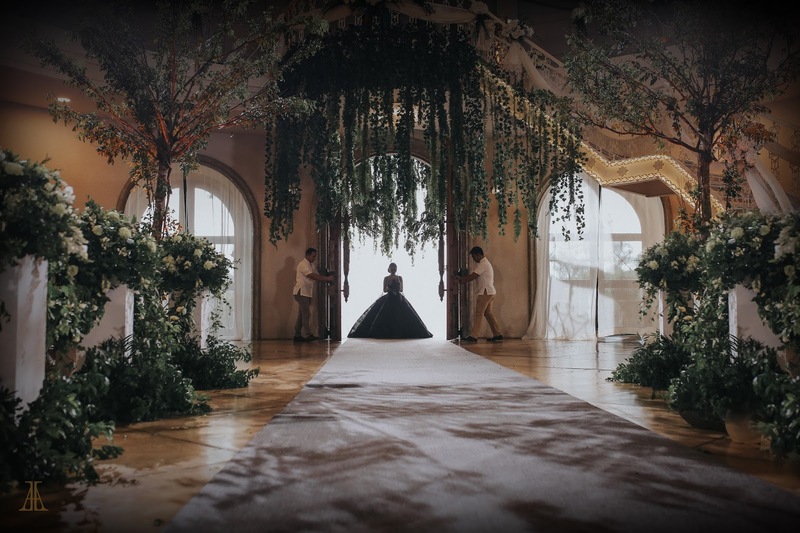 The same florist created the dramatic styling for the ceremony, with trees and hanging flowers creating a beautiful contrast to the black gown. Although the wedding scene actually ended in complete chaos, we hope that the viewers don't think that wearing a black wedding gown is a bad omen. Because black wedding gowns are absolutely sophisticated and just as beautiful as your typical white gown. 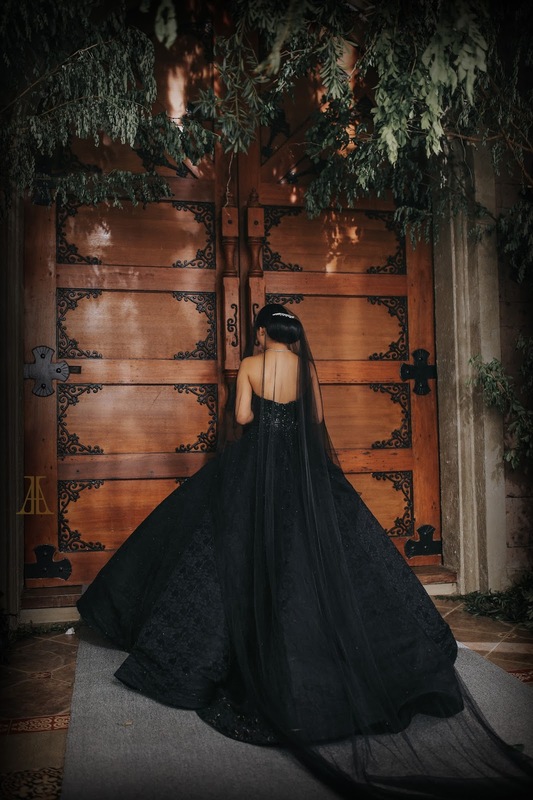 In fact, noted International bridal couturiers such as Vera Wang have had numerous black bridal gown collections in the past, as early as 2012 (Check the gowns HERE). Cheers to the production team that developed this one-of-a-kind TV wedding!